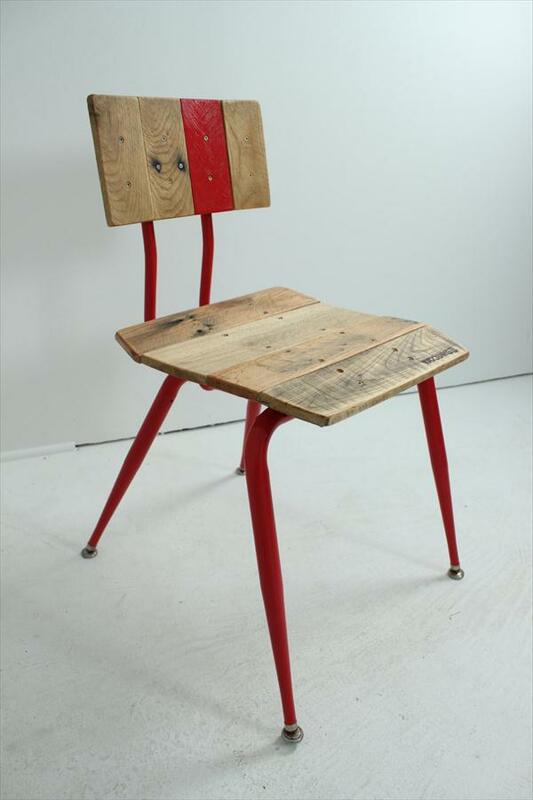 Wood reclaimed from pallets can be mixed with other materials like metal to form new serviceable shapes. 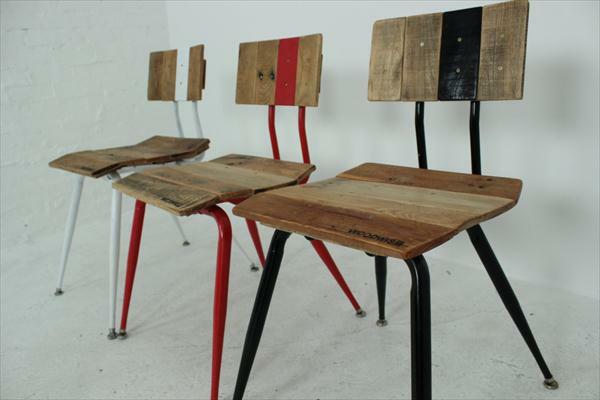 Check out these DIY pallet and metal vintage chairs, they are really nice and comfortable for sitting and has been made with old home metal scrap and pallet wood. 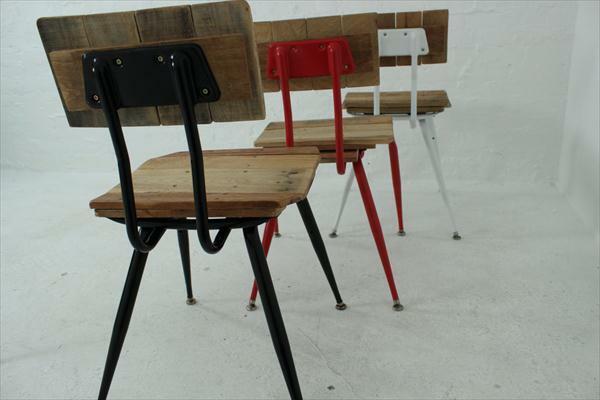 Total price of these DIY pallet chairs is just equal to nothing and you can construct a bunch of these chairs for occasional sitting plans. 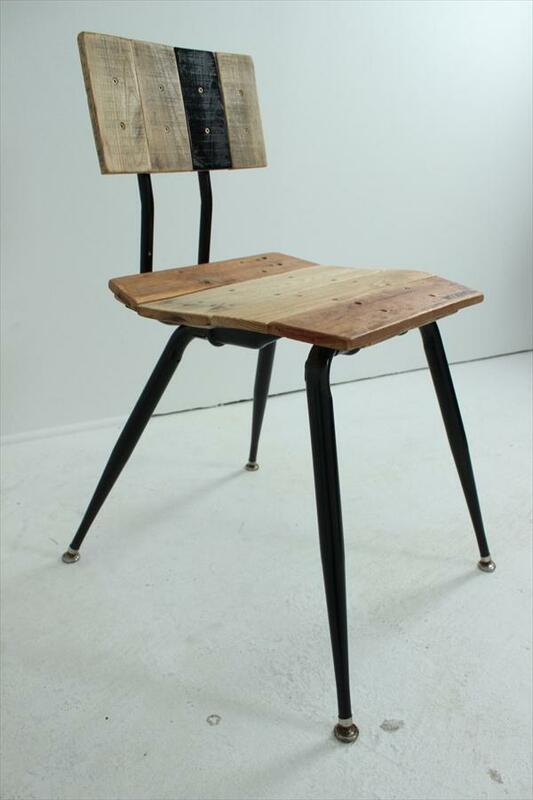 Pallet boards have been torn apart to reclaim the wood for comfortable backrest and berth section of the chair. Metal pipes have been modified to give a nice way of standing and have been raised and bright and bold colors that will really catch your eyes. 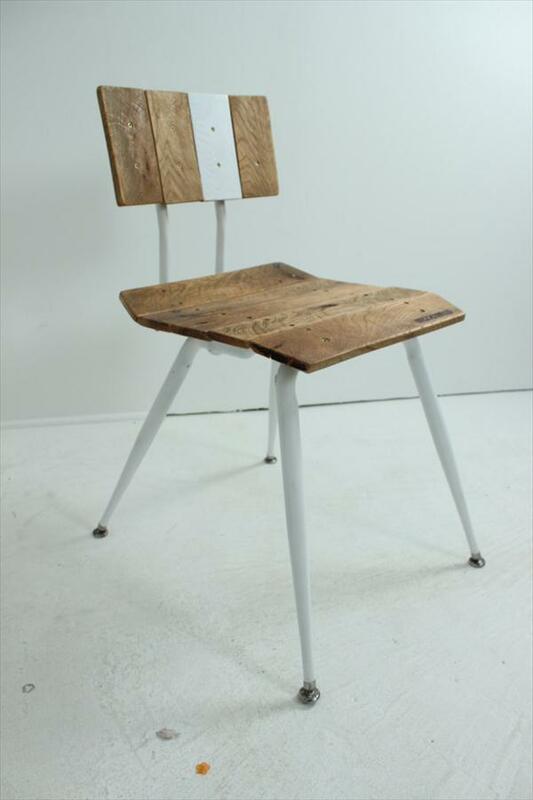 This pretty vintage style of chair will really add a perfect functional bled to your patio and interior spaces that really need some extra sitting space. By getting inspired with this pallet project you can also build the furniture for your coffee shop, schools and restaurants by spending a very little of your money!